I have been thinking a lot this year about how to make traditions for my daughters. I know that it is very important that they grow up with special traditions – especially at Christmas time. 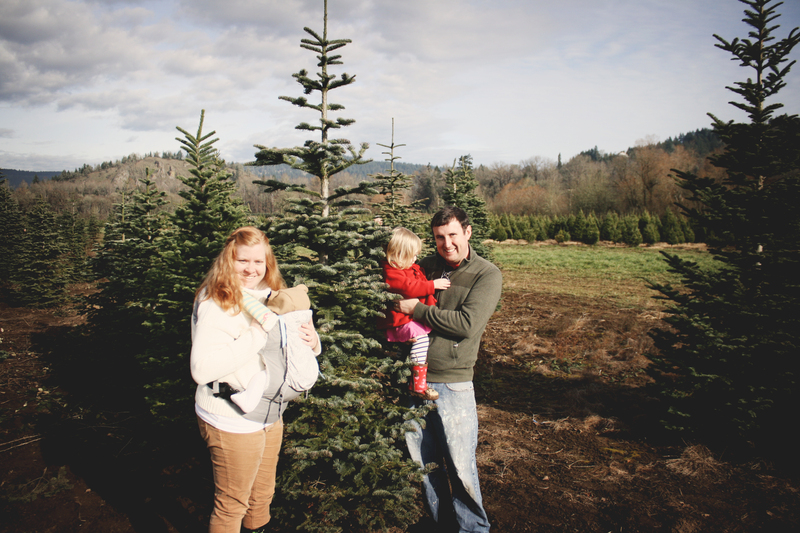 We already have some fun traditions, like going and cutting down our Christmas tree, doing Advent calendars, eating dinner by the light of the Advent wreath, going to the Festival of Trees, looking at Christmas lights… there are so many ways to build traditions. 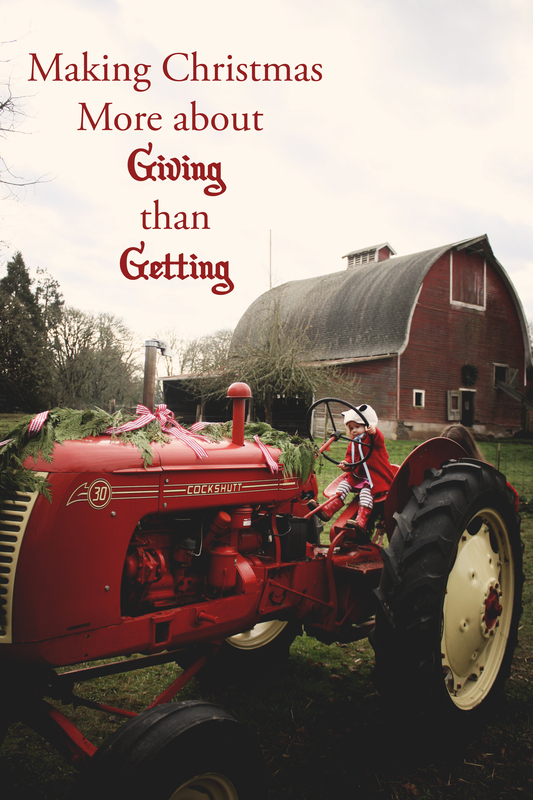 One thing I want to do is create traditions that are focused on giving to others. Most of these won’t work until they are older, so I thought it would be good to put them in writing so I won’t forget about them! 1. Christmas Stockings: I want this to be more concretely connected to Saint Nicholas. Instead of filling my daughters’ stockings with little toys and candy, I will fill it with gifts for others. Some ideas I have are putting in a roll of quarters – they can keep half, and give away the other half. They can leave them on a playground and watch as other kids find the small treasures, they can leave them in the offering plate at church, give them to homeless people, whatever they want as long as they are giving them away. Another idea is to put a gift for their sister in their stocking that they will give when they notice their sister doing something nice or generous. The other idea I have is to buy a small ($10 or so) gift card to our grocery store that they can give to another shopper on our next shopping trip. I’m sure I’ll get more ideas over the years, but that’s a start. 2. I want to do something for the homeless on the day of the Feast of Stephen. What better way to unwind from the craziness of Christmas than by helping out those who are less fortunate the following day? I’m sure this will change as the kids get older, but it will always revolve around helping homeless people. 3. We are going to do the Something you want, Something you need, Something you wear, & Something you read gift giving idea. I love this to stave off some of the hyper-commercialism around Christmas. 4. Kindness Elves. The idea of Elf on the Shelf never really felt right to me. I don’t like the idea of having an elf come into our home and be a bad example for my kids. This idea of kindness elves feels right to me. They come and give ideas of how to be nice and helpful. They compliment my kids on being nice and helpful! What a lovely idea for Christmas time! Goodness Gnomes, Inspiring Advent - GIVEAWAY!